The Swoosh celebrates the greatness of New York City with NYC-inspired takes on the Air Max 90 Ice and Roshe Run NM. The Swoosh celebrates the greatness of New York City with NYC-inspired takes on the Air Max 90 Ice and Roshe Run NM. Inspired by NYC's summer vacationers, the pack takes on a design featuring a combination of vibrant colors, polka dots and summer-friendly materials. 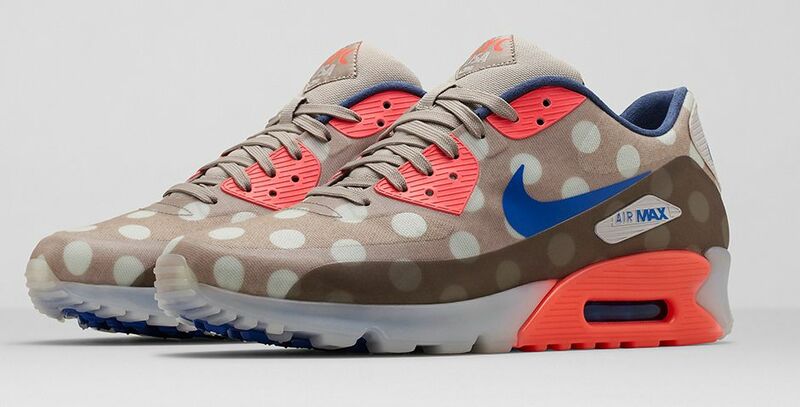 The all new Air Max 90 Ice is hit with a Hyperfuse upper covered in classic stone and contrasting polka dots. Vibrant hits of hyper cobalt work together with hits of hyper punch throughout the upper. As for the NYC-inspired Roshe Run NM, Nike Sportswear dressed them in a combination of midnight navy, classic stone and ash grey. Both shoes are finished off with NYC branding to tie the theme together. 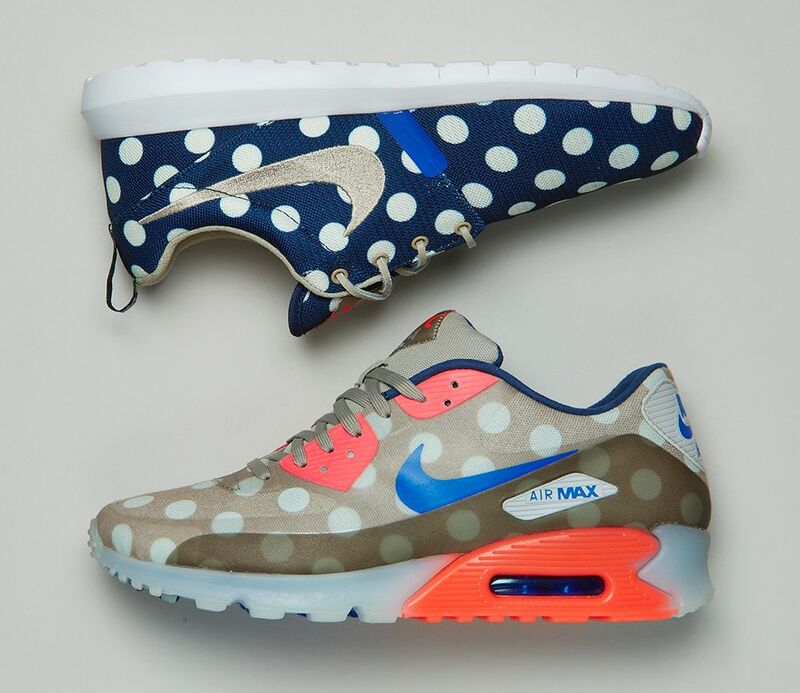 The Nike Sportswear New York City Pack is set to release tomorrow, May 16th at select retailers and online via Nike.